We know that life doesn’t always go according to plan. 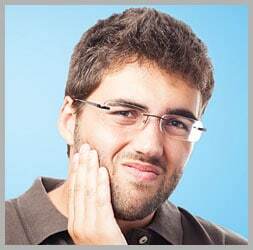 Toothaches, broken teeth, and other dental emergencies can happen when you least expect them. Fortunately, Dr. Flynn and his team is always ready to provide the care you need. In emergency situations, we are ready to fit you in at a moment’s notice, and we may be able to see you after hours, as well. In short, we will do whatever it takes to give you and your family the care you need. In an emergency situation, you should first schedule an appointment with Dr. Flynn. However, there are things you can do before you come in to the office to protect your tooth and increase your chances of a full recovery. If you have a broken tooth, carefully rinse off any pieces that may have come loose. Apply gauze to your tooth to stop any bleeding and use a cool, wet cloth to minimize swelling and discomfort. If necessary, you can apply drug store dental cement to your tooth to protect it before you come in to the office. If your tooth gets knocked out, carefully rinse it off and place it back in the socket, if possible. Keep it in place by biting down lightly. If this is not feasible, tuck the tooth in your cheek pocket or keep it in water or milk to prevent it from drying out. If your crown comes off, you should make an appointment with the dentist as soon as possible. Until you come in to the office, keep the crown in a cool place, as changes in temperature can cause the restoration to change shape. Clove oil may help to alleviate sensitivity. In the case of a toothache, you should carefully rinse your mouth and floss your teeth to dislodge any trapped bits of food. If that does not solve the problem, use over-the-counter pain medication or clove oil to alleviate your discomfort before your appointment. Although these home remedies can help minimize pain and save your tooth, they are not substitutions for professional care. Dr. Flynn can provide the effective, long-term treatment you need. If you have a dental emergency, then call us as soon as possible to schedule an immediate visit. You can reach our office in West Allis, WI, by calling 414-541-8250. We proudly serve the residents of West Allis, Brookfield, Wauwatosa, and all Western Milwaukee communities.